Being in the Amazon, Belém has a tropical rainforest climate and it rains all 12 months of the year here; in fact the city has no true dry season. There is even a joke amongst the people of Belém: “No inverno chove o dia entero. No verão todos os dias chove.” (In the winter it rains all day. It the summer it rains every day.) Consequently, there are a variety of words for different kinds of rain. 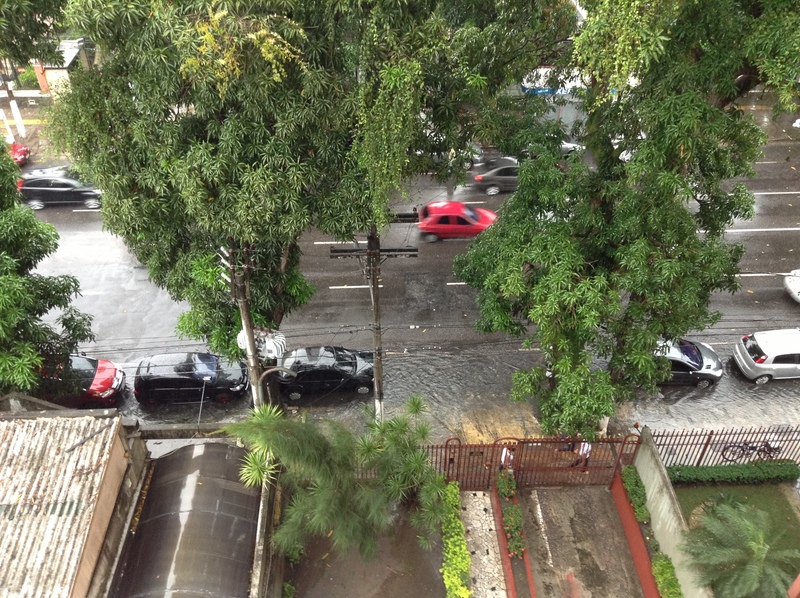 A very Paraense word (word from the state of Pará) is um toró – a very heavy rain. In my experience these torós happen very suddenly and without warning. Here you can see a small river that formed after only a few minutes of rain! I am currently living in the city of Belém in northern Brazil. Belém is the capitol city of the state of Pará and has often been called the “Door to the Amazon”. Interestingly enough Belém is also the birthplace of the founding father of the martial are called Gracie Jujitsu, or more commonly know as Brazilian Jujitsu: Hélio Gracie. After Carlos Gracie, Hélio’s older brother, saw Mitsuyo Maeda’s judo demonstration at the Teatro de Paz in Belém in 1917, he decided to start studying the Japanese martial art. Mitsuyo Maeda accepted Carlos as his student and Carlos eventually began passing his knowledge onto his brothers including Hélio. The Gracie family later moved to Rio de Janeiro where Carlos and his brothers opened the original Gracie Academy of jujitsu. As the youngest and most frail of the Gracie brothers, Hélio was only allowed to watch his brothers train and teach jujitsu. Nonetheless, when Carlos was late to teach an important client, the director of the Bank of Brazil, a private lesson, Hélio offered to instruct the student. The man was so impressed with Hélio’s instruction that he asked to continue studying with him. Soon Hélio realized that although he knew all the techniques of judo and jujitsu, he small size and limited strength prevent him from executing the moves with easily or effectively. 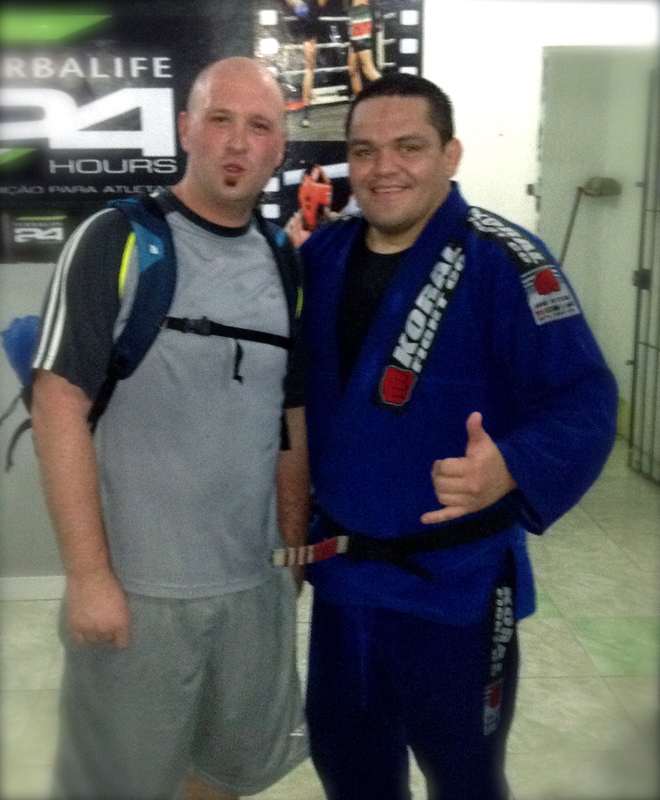 He therefore started experimenting with and adapting his knowledge of jujitsu, to minimize the amount of force needed to perform the various techniques and moves. Through Hélio Gracie’s experiments Brazilian Jujitsu was born, giving smaller and weaker practitioners the ability to defend themselves and defeat larger opponents. Hello everyone welcome to my Brazilian blog or if you dare my BROG!